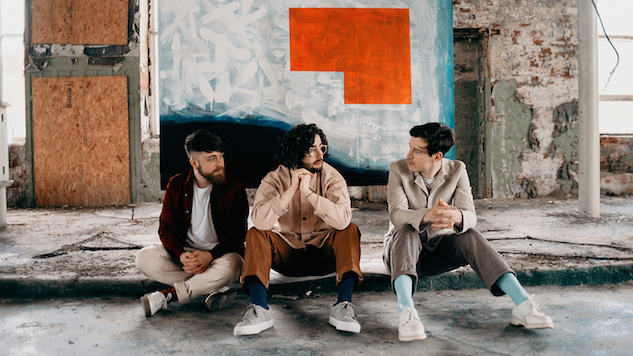 Exclusive: Watch Fatherson's New Video for Punchy Single "Ghost"
Glasgow’s Fatherson have shared a new video for “Ghost,” a single taken from their 2018 album and third LP Sum of All Your Parts. “Ghost” displays Fatherson’s knack for both subtle, intricate guitar lines and cacophonous, payoff riffs worth every moment of tension building. They clearly aren’t afraid of a rousing, mammoth-sized chorus, either. In a time when slacker rock and bedroom pop are very in, it’s refreshing to hear a rock chorus that sounds colossal enough to blare out of a car window or from a PA at a large music venue. Fatherson will be performing later this week at New York’s New Colossus Festival and then the following week at SXSW in Austin. Watch their new “Ghost” video below, premiering exclusively at Paste, and revisit Fatherson’s Paste Studio from earlier this week further down.